When the Encyclical was published on 25th July 1968, it caused an impressive -some would say possibly catastrophic- stir among Catholics throughout the world, which Cardinal Heenan, the then Archbishop of Westminster, described as “the greatest shock since the Reformation”. Today, it is also seen as prophetic. A cartoon circulating in the media this week, gives some food for thought! The Encyclical aimed at reiterating the Church’s teaching in modern-day language and facing up to the recent developments especially in the area of artificial and medical contraceptives. The overwhelming conclusion of those consulted was that the Pope should slacken the traditional prohibitions. Despite this, Paul VI felt compelled by virtue of the Petrine ministry which he had received directly from Christ as successor of St. Peter, to enunciate with clarity “the mind of Christ” on this matter. “Moral principles do not depend on a majority vote. Wrong is wrong even if everybody is wrong. Right is right even if nobody is right”. In a nutshell, that was the dilemma facing Pope Paul VI. The final text of the Encyclical shows an awareness that what was being taught would not be easy to accept within that burgeoning permissive social environment of the day. At the same time, it was not blind or deaf to the need for compassion and an awareness of weaknesses and sins in people’s lives. 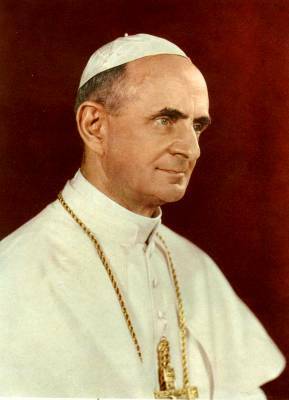 The tone of the Encyclical’s language showed that Paul VI had kept in mind many of the objections that had been raised in the stage of gathering opinions from around the world as he prepared to write the encyclical. Given the nature of an encyclical, understandably the Pope could not argue each and every one of those objections in detail. Instead, he focused on the perennial moral principles at stake. 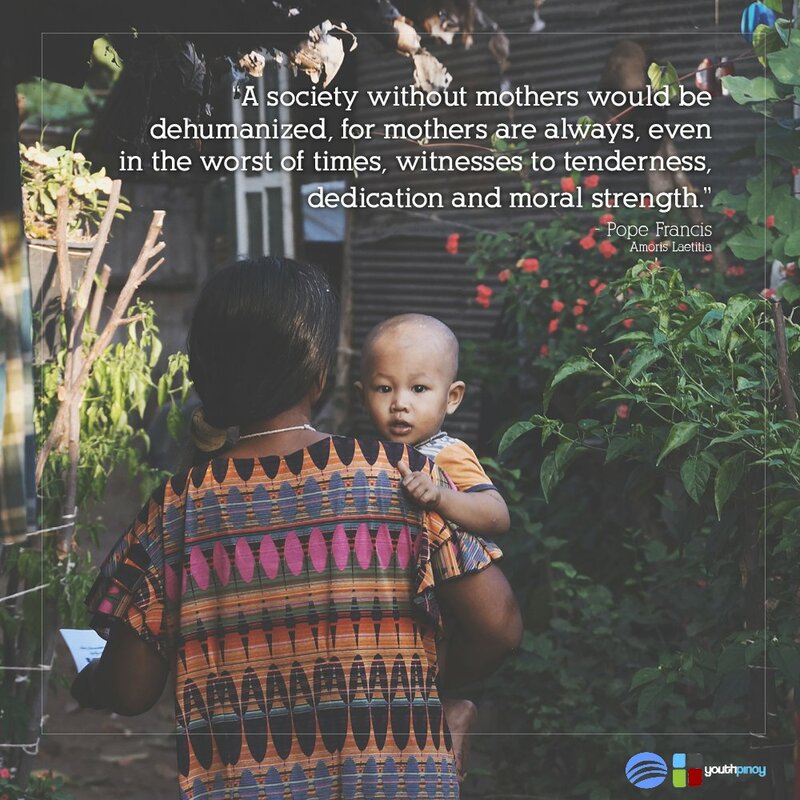 He readily acknowledged the difficult cultural and social conditions in which many married couples live and showed a realistic recognition of the impact of weakness and sin. The Pope was speaking not only to Catholics, but to all Christian consciences that strive daily to take seriously the gift of Grace and the call to conversion. This is what ultimately concerns the moral teaching of the Church: the salvation of all. The choice of language therefore places at the centre a fundamental element of the moral life of every Christian: even if human freedom always adheres imperfectly to the salvation offered in the Gospel, the Church must always propose it with fidelity and completeness. She cannot fall into the temptation of the sort of popular ethical relativisms that can easily drive a mistaken sense of social progress, which drifts us ever further away from God’s perspective of what is good, authentic, true development for all. Christ’s Gospel call to a “mastery of oneself” and of “conjugal chastity” which no true disciple of Christ can ignore. At a recent General Audience, Pope Francis said he was worried that youth are too enmeshed in a virtual world of cell phones and other technology, separated, in particular, from the real human contact experienced by performing works of mercy. “It worries me that they communicate and live in the virtual world,” he said, noting that on a recent visit with youth, instead of extending their hands when they saw him, they “greeted” him with their phones held up, taking photos and selfies. “Their reality is that… not human contact. This is serious,” he continued. “We have to make young people ‘land’ in the real world. Touch reality. Without destroying the good things the virtual world can have,” because some things are needed, he acknowledged. The Pope said that young “had courage to speak” and “really wanted to speak seriously”. They need to find their voice in our society, not one that is virtual -an illusion-, but human, active and real. 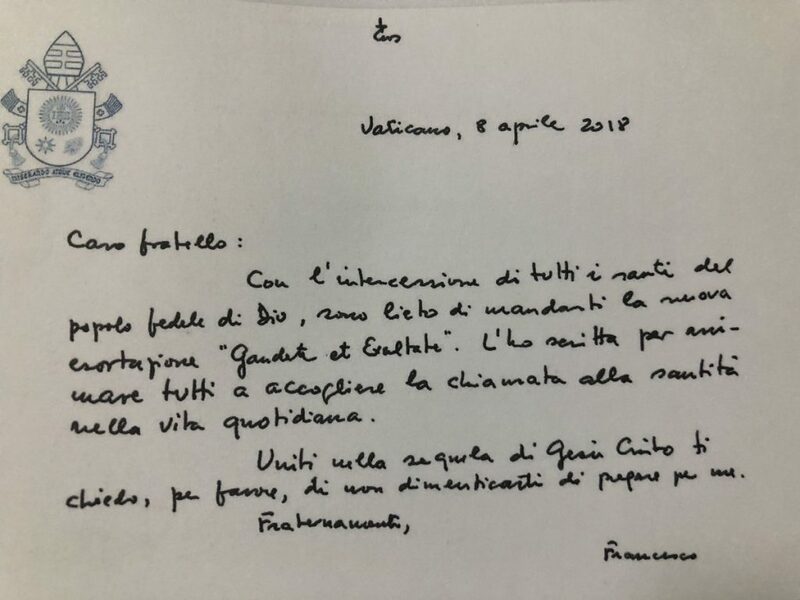 On April 29, 1965, the second year of his pontificate, Blessed Paul VI wrote his encyclical (meaning, a letter the Pope sends throughout the world) “MENSE MAIO” (the Month of May), on prayers during May for the preservation of world peace. “to adapt herself, in a suitable way, to the needs of our day. On the success of this endeavour will depend, for a long time to come, the future of Christ’s spouse and the fate of many souls. It is indeed a great moment which God has injected into the life of the Church and the history of the world” (n. 4). “The month of May is … a month which the piety of the faithful has long dedicated to Mary, the Mother of God. Our heart rejoices at the thought of the moving tribute of faith and love which will soon be paid to the Queen of Heaven in every corner of the earth. For this is the month during which Christians, in their churches and their homes, offer the Virgin Mother more fervent and loving acts of homage and veneration; and it is the month in which a greater abundance of God’s merciful gifts comes down to us from our Mother’s throne. We are delighted and consoled by this pious custom associated with the month of May, which pays honour to the Blessed Virgin and brings such rich benefits to the Christian people” (nn. 1-2). The Encyclical was written in the aftermath of two horrible world wars —with all their macabre, insane loss of life— in the wake of so much instability and poverty left behind in many regions. The nuclear age was fast threatening to end humanity as we know it. The ‘cold war’ was freezing international relations. 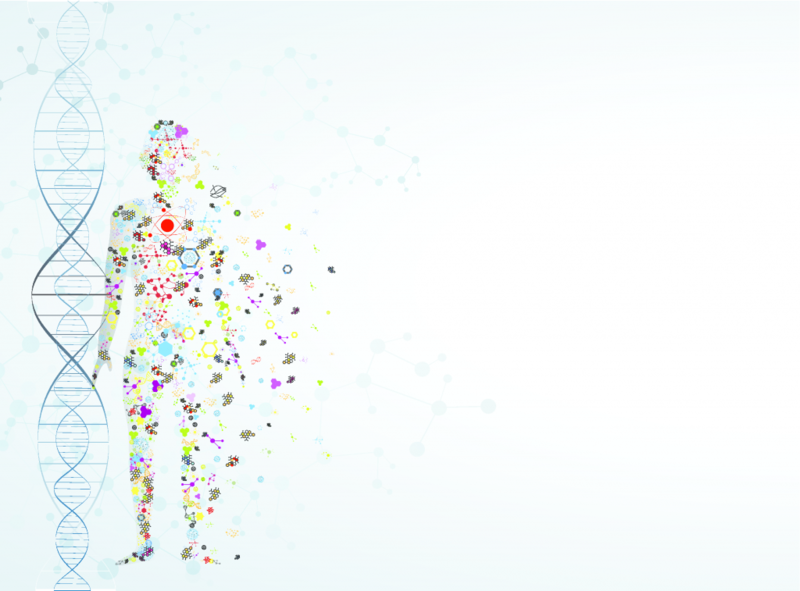 Although a man was about to step on the Moon, ushering in the digital age, this was also a period when science was claiming to have finally killed the need for God. Religion was often derided in Marxian terms, as das Opium des Volkes (often translated as: “Religion is the opium of the masses”). After the recent centuries of scientific and ideological revolution, religion was being pushed more and more into the private sphere, something only for the superstitious and unenlightened. Now humankind had come of age! There was no longer any need to invent and rely on those silly myths of the type propagated in the Bible and unscientifically expounded by blind devotees. And so, the age of indifference and scepticism, gave way to our current age of relativism and individualism. Perhaps, as in every challenge humanity faces, paradoxically, the need for the spiritual seems to have become stronger than before. The promise of the irrelevance and absence of ‘religion’ in a ‘new age’, has been eclipsed by an almost explosion of a whole industry of self-awareness, self-help, mindfulness and alternative therapies to the historic old hat, supposedly opiate, institutional, collective varieties. Religion, in an intensely individualistic new age, has become rather à-la-carte; a supermarket experience of choice. For a Catholic with a sense of 2,000 years of history, we’ve seen similar eclectic trends become all the rage but only for a while, many times before! But why keep bringing Mary into the picture? The simple answer, is that is precisely what God did! 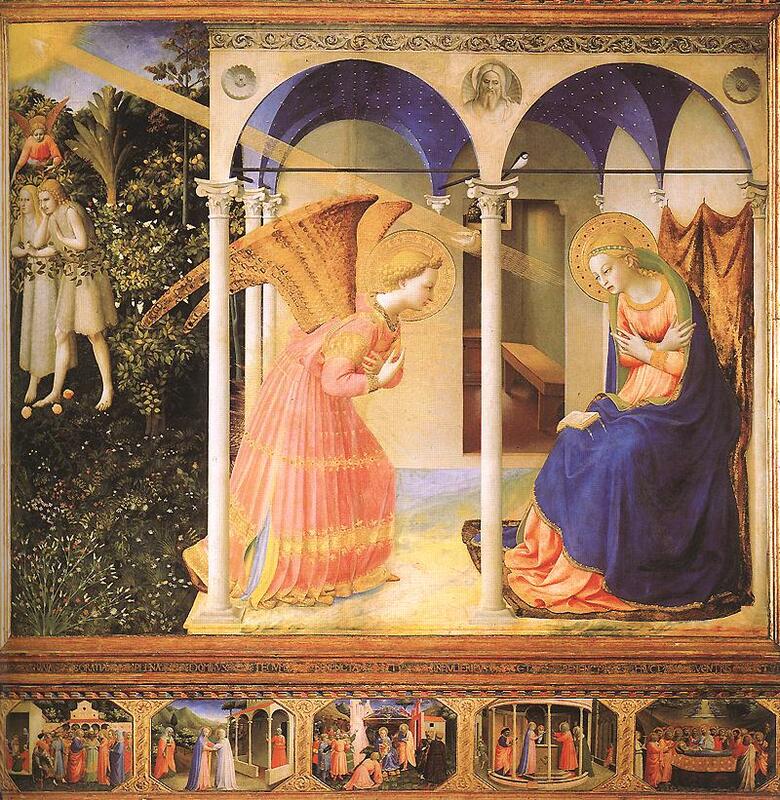 At the Annunciation, when the Angel Gabriel brought God’s personal invitation to Mary, to become mother of the incarnate Messiah, God-made-flesh, Mary was brought into the scene of the Mystery of God’s redemptive plan: to save us all from perdition, from being lost for ever. As St. Paul taught, due to the Fall, when Original Sin came into the world through Adam and Eve, our first parents (for more on this, including evolution, read Pius XII’s Encyclical Humani generis , we became ‘dead in sin’, no longer able to walk freely in our relationship with God (see: Romans 5, 12 -21). We utterly ‘were lost’” (see: Ephesians 2:1-10), but Christ Jesus came to our rescue, bringing us back into the Father’s loving embrace. Why do we Catholic honour Mary? Because God did! 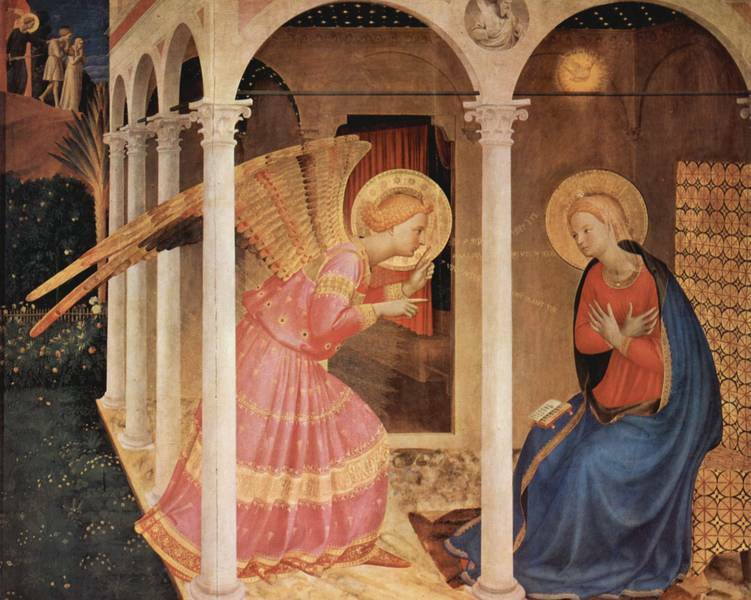 The Angel Gabriel was sent with this message for the world and for her: “Hail Mary, full of grace. The Lord is with you!”. Mary knew that her whole life was about to change from that moment onwards, and readily said “Yes!” to God, becoming forever “the handmaid of the Lord”, consecrated to doing His will in all things. For this reasons, as Mary herself prophesied: “all generations will call me blessed” (Luke 1:48). It is therefore not only Catholics who honour her in this way, calling her blessed, but every Christian who acknowledges the gift of God’s Word-made-flesh in His humble servant Mary. “O Mary, conceived without sin, pray for us who have recourse to Thee”. On March 19th 2016, Solemnity of St. Joseph, the Holy Father, Pope Francis published Amoris Laetitia (The Joy of Love). This is a Post-Synodal Apostolic Exhortation on love in the family. It brings together the results of the two Synods on the family convoked by Pope Francis in 2014 and 2015. It frequently cites their final Reports, documents and teachings of his predecessors, and his own numerous occasions of catechesis on the family, as well as contributions from various Episcopal Conferences around the world. An apostolic exhortation is a type of communication from the Pope to the Catholic Church and beyond. It encourages a community of people to undertake a particular activity but does not define Church doctrine. It is considered lower in formal authority than a papal encyclical, but higher than other ecclesiastical letters, Apostolic Letters and other papal writings. Apostolic exhortations are commonly issued in response to an assembly of the Synod of Bishops, in which case they are known as Post-Synodal Apostolic Exhortations. Amoris Laetitia also addresses some important, very difficult, pastoral family and marriage situations we sometimes face. Obviously, it is impossible to cater for every single possible pastoral situation in a relatively short document as this: it cannot give template answers to every human situation. This is not its aim; nor the Church’s style. Human nature and morality cannot be summarily boxed into categories in this way. Nevertheless, we always have to remember that it is God’s holy will we are seeking, not ours. The light of the Gospel can always shed its light, even in the hardest of human dilemmas. The Gospel of Jesus Christ is always a reason to hope. In God’s Word, we find the means to turn away from our sin, convert at the deepest level and return to Him. As a loving Father, He is always ready to receive His repentant, prodigal children (Luke 15:11–32). We should never despair. 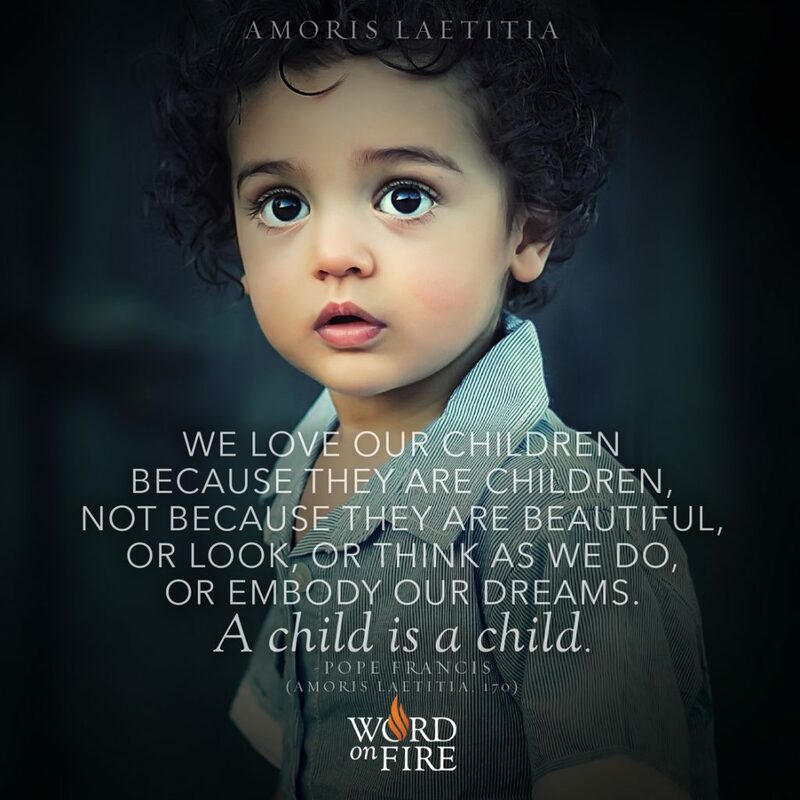 Amoris Laetitia encourages us to think in this way. But what happens when, despite a rediscovered desire to reach out and return to God, my previous situation in life prevents me now from fully returning home? This is the sort of moral question Amoris Laetitia grapples with. 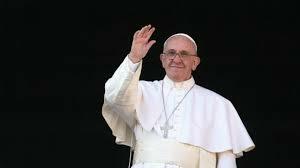 The Pope is encouraging us to develop our consciences. It is before God, true to our consciences, that we will face the inescapable Final Judgement (Matthew 13:40-43). No one can stand in our place. We have to form our conscience now, since it is not some infallible divine light. For this reason, the Document encourages discernment. Below, you can read a sample summary of Chapter 8 of the Document and how it helps us to grow into greater Christian maturity, where we acknowledge responsibility before God for our actions, hopefully always, out of love. Chapter eight is very sensitive. In reading it one must remember that “the Church’s task is often like that of a field hospital”. 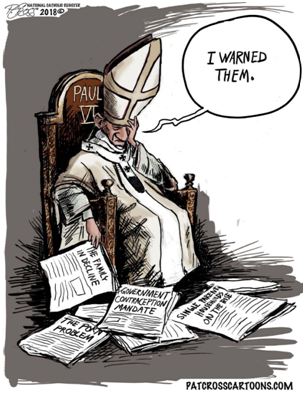 Here the Holy Father grapples with the findings of the Synods on controversial issues. He reaffirms what Christian marriage is and adds that “some forms of union radically contradict this ideal, while others realise it in at least a partial and analogous way”. The Church therefore “does not disregard the constructive elements in those situations which do not yet or no longer correspond to her teaching on marriage”. As far as discernment with regard to “irregular” situations is concerned, the Pope states: “There is a need ‘to avoid judgements which do not take into account the complexity of various situations’ and ‘to be attentive, by necessity, to how people experience distress because of their condition’”. And he continues: “It is a matter of reaching out to everyone, of needing to help each person find his or her proper way of participating in the ecclesial community, and thus to experience being touched by an ‘unmerited, unconditional and gratuitous’ mercy”. And further: “The divorced who have entered a new union, for example, can find themselves in a variety of situations, which should not be pigeonholed or fit into overly rigid classifications leaving no room for a suitable personal and pastoral discernment”. In this line, gathering the observations of many Synod Fathers, the Pope states that “the baptised who are divorced and civilly remarried need to be more fully integrated into Christian communities in the variety of ways possible, while avoiding any occasion of scandal”. 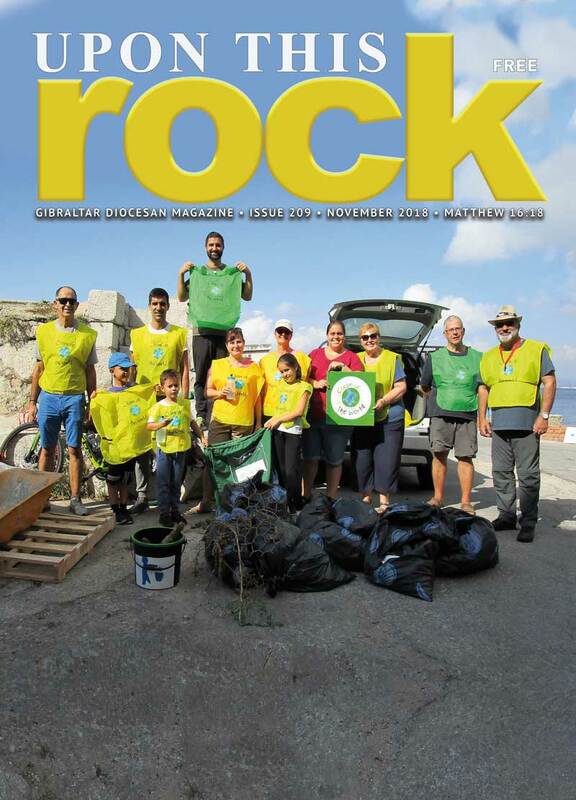 “Their participation can be expressed in different ecclesial services… Such persons need to feel not as excommunicated members of the Church, but instead as living members, able to live and grow in the Church… This integration is also needed in the care and Christian upbringing of their children”. In a more general vein, the Pope makes an extremely important statement for understanding the orientation and meaning of the Exhortation: “If we consider the immense variety of concrete situations, … it is understandable that neither the Synod nor this Exhortation could be expected to provide a new set of general rules, canonical in nature and applicable to all cases. What is needed is simply a renewed encouragement to undertake a responsible personal and pastoral discernment of particular cases, one which would recognize that, since ‘the degree of responsibility is not equal in all cases’, the consequences or effects of a rule need not necessarily always be the same”. The Pope develops in depth the needs and characteristics of the journey of accompaniment and discernment necessary for profound dialogue between the faithful and their pastors. For this purpose the Holy Father recalls the Church’s reflection on “mitigating factors and situations” regarding the attribution of responsibility and accountability for actions; and relying on St. Thomas Aquinas, he focuses on the relationship between rules and discernment by stating: “It is true that general rules set forth a good which can never be disregarded or neglected, but in their formulation they cannot provide absolutely for all particular situations. At the same time, it must be said that, precisely for that reason, what is part of a practical discernment in particular circumstances cannot be elevated to the level of a rule”. The last section of the chapter treats “The logic of pastoral mercy”. To avoid misunderstandings, Pope Francis strongly reiterates: “To show understanding in the face of exceptional situations never implies dimming the light of the fuller ideal, or proposing less than what Jesus offers to the human being. Today, more important than the pastoral care of failures is the pastoral effort to strengthen marriages and thus to prevent their breakdown”. The overall sense of the chapter and of the spirit that Pope Francis wishes to impart to the pastoral work of the Church is well summed up in the closing words: “I encourage the faithful who find themselves in complicated situations to speak confidently with their pastors or with other lay people whose lives are committed to the Lord. They may not always encounter in them a confirmation of their own ideas or desires, but they will surely receive some light to help them better understand their situation and discover a path to personal growth. I also encourage the Church’s pastors to listen to them with sensitivity and serenity, with a sincere desire to understand their plight and their point of view, in order to help them live better lives and to recognize their proper place in the Church.”. On the “logic of pastoral mercy”, Pope Francis emphasises: “At times we find it hard to make room for God’s unconditional love in our pastoral activity. We put so many conditions on mercy that we empty it of its concrete meaning and real significance. That is the worst way of watering down the Gospel”.